Different fabrics within the same color palette express personality without feeling busy. Photography by Rich Pomerantz. Simple planting and beautiful decor create a feeling of spaciousness and flow. Photography by Rich Pomerantz. Resin pots are lightweight and can be left outdoors year-round. Photography by Rich Pomerantz. 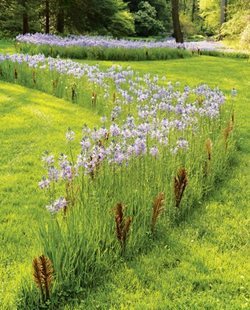 Repetition of plantings elongates a small space. Photography by Rich Pomerantz. Foliage is your friend. 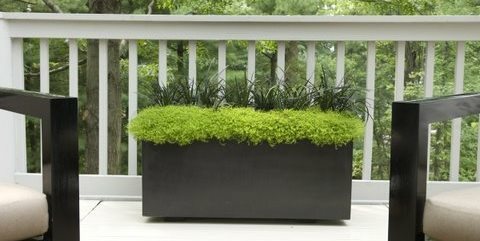 This green planting adds elegant drama. Photography by Rich Pomerantz. Garden fountains distract from the sounds of the city and are soothing to look at. Photography by Rich Pomerantz. Lush pots set the scene and create focal points in the townhouse garden Photography by Rich Pomerantz. Use this design sheet to help you create the perfect townhouse landscape. 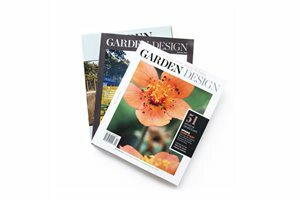 You'll get ideas for color, décor, materials, plants and fabric. 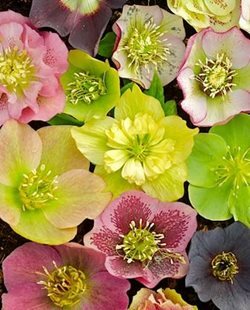 It is a great starting point for any small-space landscaping project. When designing a townhouse landscape, thoughtful use of space is key. Townhouses often have a terraced patio to enjoy, but limited room for in-the-ground landscaping. 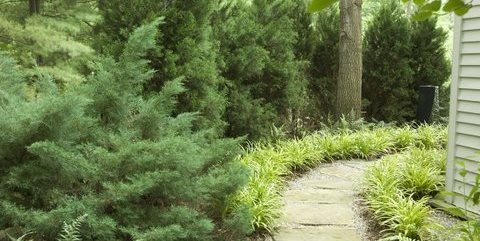 Yet award-winning landscape designer Robert Welsch makes the point that with good design, even a small area can provide a welcoming respite from the outside world. Here, he shares eight strategies for making the most of a small townhouse garden. Do design with the inside in mind. In a townhouse, most of the garden is easily seen from the windows. Set the scene by considering the view from often-used spots like the kitchen window, your favorite chair or the bedroom, and design focal areas with these views in mind. 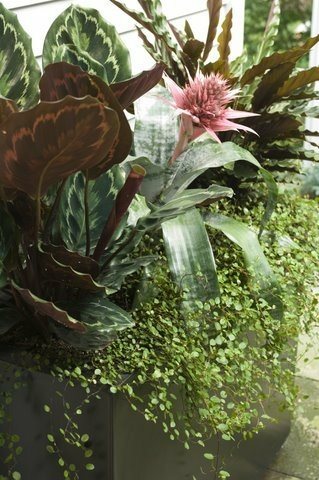 Do repeat a simple plant palette. "Green is your friend," says Welsch. 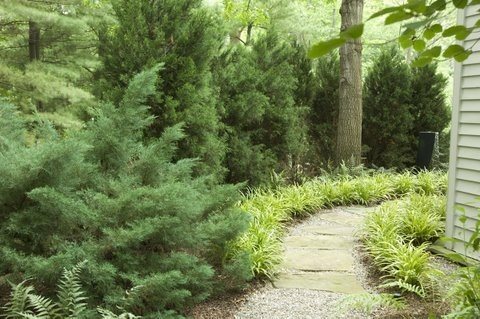 By focusing on repeated plantings of lush foliage-interest plants, he elongates the garden and creates a feeling of spaciousness and flow. 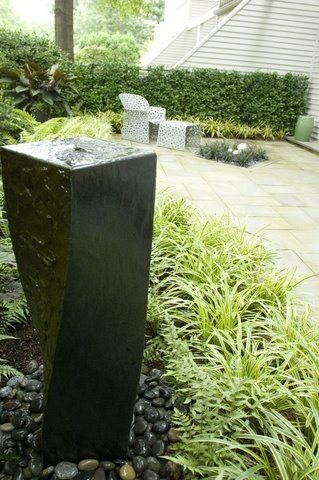 Do use a garden fountain as a focal point. Not only are they soothing to look at, but the trickling sound of the water distracts from the noises of the city. Welsch suggests making it low-maintenance by adding an irrigation line to automatically refill it every time your garden is watered. Do plan built-in storage places for garden tools and accessories like hoses. "A small space can get junked up easily," explains Welsch. With careful design, benches, tables and garden walls have potential to do double-duty as attractive storage areas. 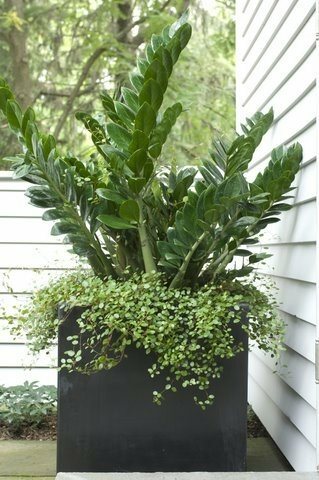 Don't be afraid to refresh your pots as often as quarterly to keep plantings looking exquisite. 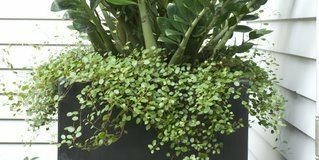 Making the most of a small space means there's no room for plants to have an "off" season. Don't select different styles of pots. Instead, "use different sizes of the same style of container," suggests Welsch. A simple décor scheme creates an elegant feeling of continuity in the landscape. 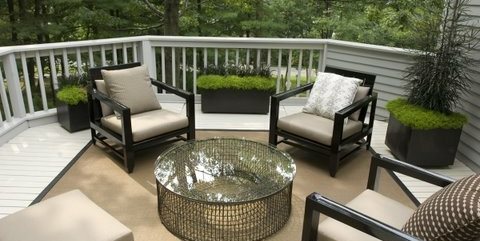 Don't choose heavy concrete or terra cotta planters for your terrace. 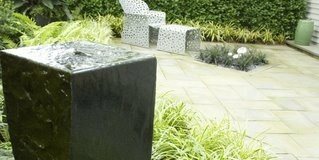 Resin pots are a great choice for a townhouse garden because they're lightweight and suitable for leaving outdoors year-round. Don't use too many colors. A townhouse landscape can quickly feel cluttered with too many flower colors or décor elements. Let your personality shine with fabric and plant selections, but be creative within a limited color palette. About Robert Welsch:Welsch's background in book and magazine publishing gave him unique experience at crafting a beautiful presentation, no matter the medium. 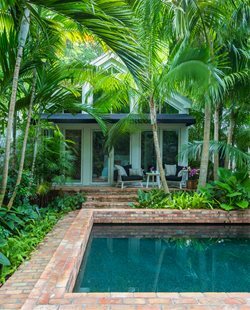 In his years of owning and operating Westover Landscape Design, Inc, he's won numerous awards and been featured in publications such as This Old House and Westchester Cottages and Gardens. 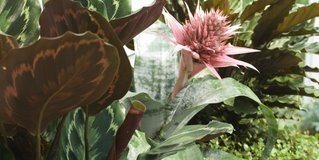 While his company focuses on artistic hardscaping and native tree and shrub borders, his skill with foliage and container designs has led him to begin teaching container gardening workshops at the New York Botanic Garden.